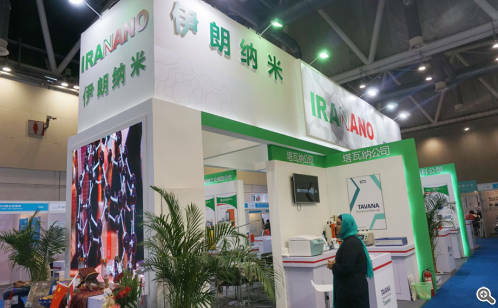 China-Iran Nanotech Business Matchmaking Event opened on October 29 at Suzhou International Expo Center as part of the 6th CHInano Conference & Expo. 15 projects of nano-fiber, water purification technology, bio-medicine, building material, and equipment from Iran were presented for matchmaking. Organized by Nanopolis Suzhou Co., Ltd. and Iran Nanotech China Center, the event attracted corporate executives of over 50 enterprises from Suzhou, Shanghai, Ningbo, and Hubei. The current event is the first large-scale matchmaking activity after the founding of Iran Nanotech China Center. The Center was set up with the support of Nanopolis Suzhou Co., Ltd. and Iran Nanotechnology Initiative Council for the purpose of deepening China-Iran cooperation in nanotech R&D, technological transfer, project location, resource exchange, and academic conference. At the matchmaking meeting of the opening day, Iran Nanotechnology Initiative Council signed an agreement with Dushu Lake School on joint promotion of nanotech education.